The inspiration behind every tapestry always begins from a deeply personal connect to the theme. In fact, my first tapestry emerged from a deep desire to express “Shrinathji” and install it in my home. 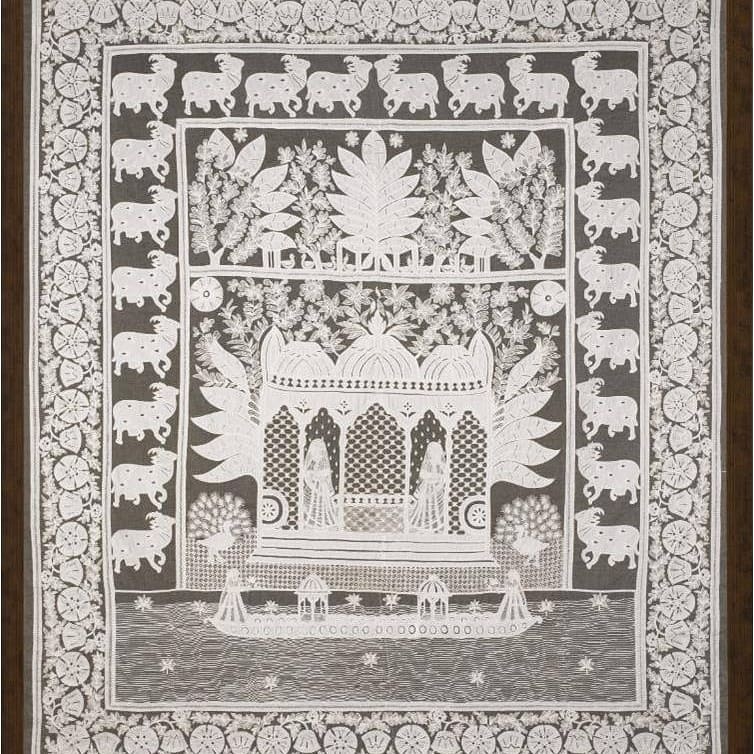 The narrative for every tapestry flows from themes that only draw upon the unique aesthetic culture and design forms of traditional Indian art. but also recreate the art of visual story-telling. 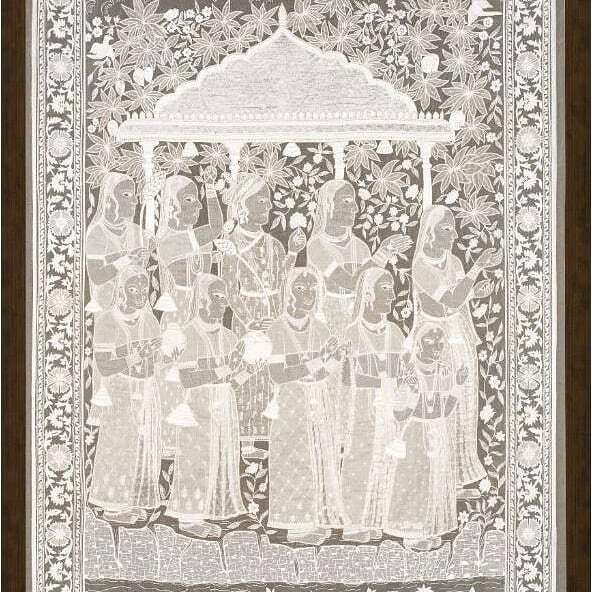 Motifs are inspired by the classical designs from pichwai and miniature paintings, as well as from inlay works in marble. These hand embroidered artworks resurrect Indian heritage in both theme and craftsmanship, while reflecting a very personal and modern aesthetic. The process of these intricate Tapestries is time consuming. First, the theme of the tapestry is decided then the “karigars” being the work. depending on intricacy of both, the design and the embroidery techniques used, some pieces can take more than four months to make. All in all, because each piece is unique, it is difficult to predict how long a tapestry will take to reach completion. The size and texture of every stitch can change the visual impact of the tapestry, and portions may need to be redone if the effect is not satisfactory. To create a masterpiece, all elements of the tapestry, from the lines, the colors, the textures and the quality of craftsmanship, must harmonize.